For those who optimize their internal linking structure, pages with more links pointing to it tend to be the most important pages on the site. 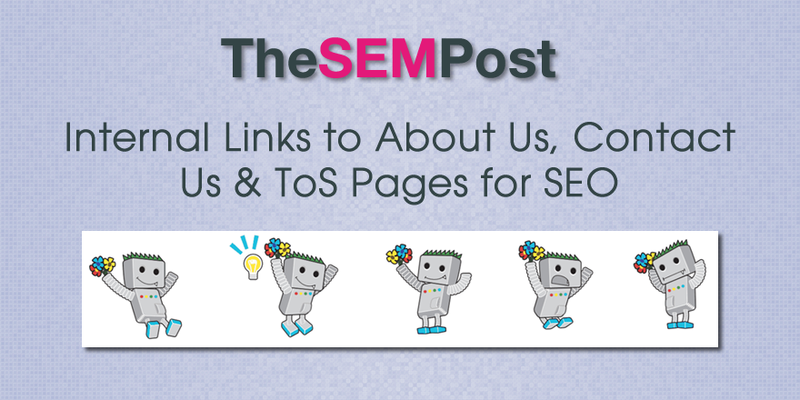 But what about other less important pages that also tend to have a lot of links to them, specifically pages such as about us, contact us and TOS pages. For example, what if the contact us page has more internal links than any other page in the entire site? Google is pretty good at recognizing these types of pages as being essential to a site but not crucial for ranking. And according to John Mueller, you don’t need to do anything such as nofollow links to these pages so that Google doesn’t skew importance weighting to those, nor does it matter if these types of pages have the most links. No, it doesn’t need to be that way. We have a lot of practice with crawling and indexing websites and its totally normal for lots of sites to have a contact us page, or an about us page or even a terms of service page as being one of the pages that has the most internal links because that is something you’re maybe always linking to in the footer or maybe it’s always visible in the sidebar, that’s completely normal. That doesn’t mean for us that this is the most important page on the website. That doesn’t mean for us that its the most important page on your website so that’s not something where you need to manually interfere and hide those links to the about us page or the terms of service page so Google doesn’t know about them. Mueller also does stress that it is still important to link to new important pages, so it is not that Google will ignore them fullstop. Internal links are still extremely valuable for SEO. That said, if there are important things on your website that they’re also linked to from important pages within your website. So if you’re launching a new product or you have some news you want to share that you want to rank for, then maybe put that link on your homepage so that people can find it fairly quickly and that search engines understand that this is something they should focus on as well. It’s not the case where we completely ignore internal links but I just wouldn’t worry about kind of like the normal website structure where you have a lot of internal links to pages that are probably not the most important ones on your site. You also don’t want to noindex these pages either. Although Mueller doesn’t mention it, sometimes people search specifically for a site’s contact us page or about us page by doing a Google search because while they are very visible on some sites, other brands can make it nearly impossible to find them from the site itself. So do consider it from a usability point of view before making decisions to lead Google to believe these pages are not important or shouldn’t be indexed. You don’t need to use nofollow on links to your pages like contact us page because you are worried Google might either consider them more important than other pages or consider other pages less important because of it.